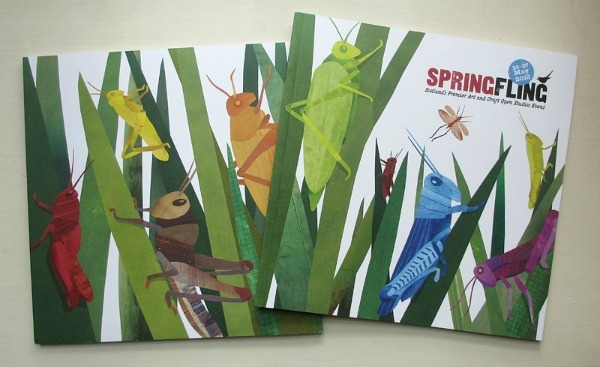 In October last year, I was contacted by designer Tim Bremner on behalf of Spring Fling, Scotland’s Premier Arts and Crafts Open Studios Event, to Illustrate the wrap-around cover for their 2013 event brochure. ‘I worked with Jonathan recently for the first time on the brochure cover of the Spring Fling Arts Festival. Having made contact with Jonathan my first impressions were that he was very friendly, enthusiastic and pro-active right from the start. Once we had agreed on which direction to take, everything went very smoothly and he went straight to final artwork without any further changes.